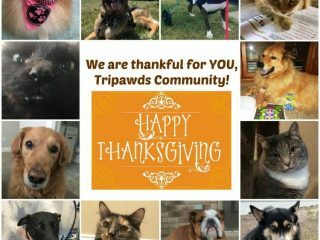 Happy Thanksgiving Tripawds Nation, and thank you for helping our community stay strong when you help Tripawds everywhere! 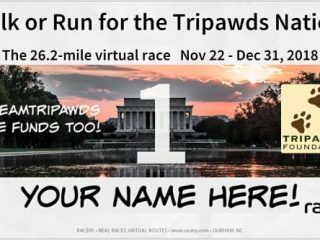 Join #TeamTripawds for the 2018 Virtual Walk or Run for Tripawds Foundation this holiday season and help Tripawds everywhere! 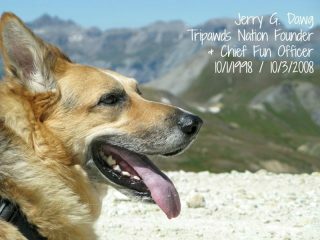 Today is the 10th anniversary of the day Tripawds founder Jerry G. Dawg got his wings. In his honor, we celebrate the wisdom he shares with the world every day. 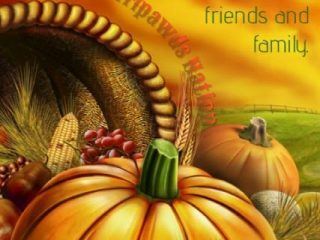 Reflections on gratitude and animals on a Tripawds Thanksgiving holiday. 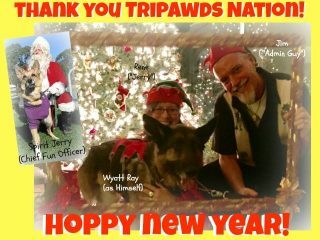 Many Hoppy New Year wishes to everyone in the Tripawds community. 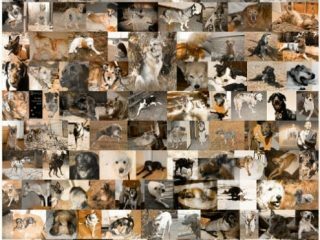 May 2017 be all that you hope for and more. Thank you for making this such a magical place! 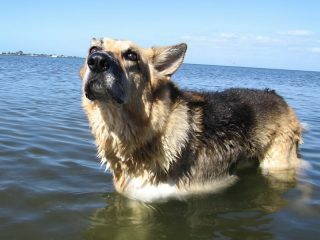 Thank you Tripawd dogs, cats and people for ten amazing years showing the world it’s better to hop on three legs than to limp on four. 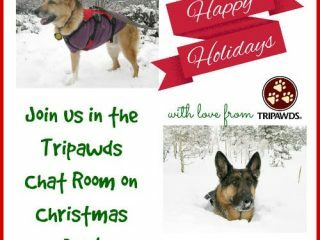 Come meet other Tripawds community members in the annual Christmas Day Tripawds Chat Room Pawty on December 25, 2015. 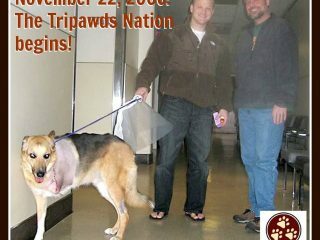 We are thankful for the Tripawds Community Spirit on Thanksgiving, nine years after Jerry was released from the hospital after amputation surgery.